Macedon - Chalcidian League, 432-348 BC. 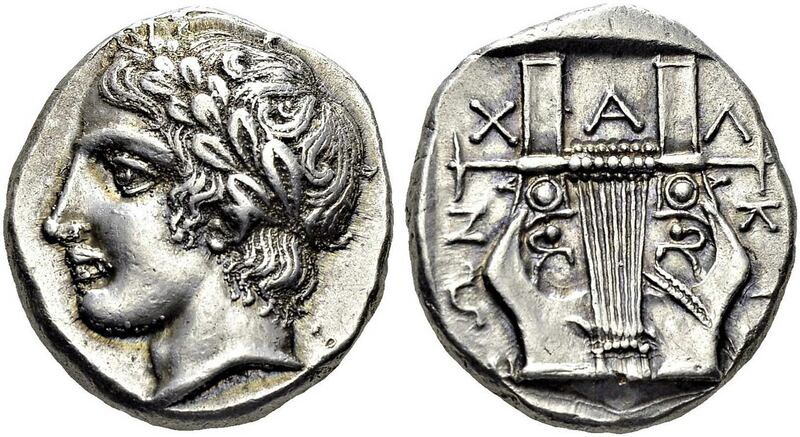 Tetradrachm, 370-360 BC, Olynthos. Obv. Laureate head of Apollo left. Rev. Χ-Α-Λ-ΚΙΔ-ΕΩΝ. Cithara with seven strings. SNG ANS 473. AR. 14.46 g.
Ex. Hess-Divo auction 321, 25 october 2014, lot 83.